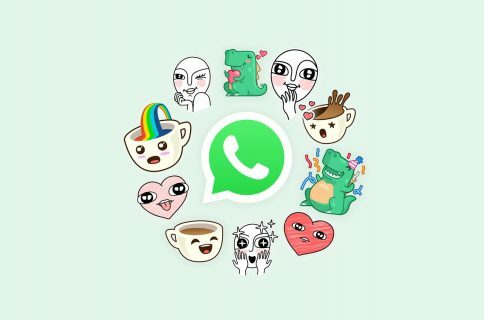 Facebook-owned WhatsApp two days ago gained support for sending and receiving animated GIFs, as well as sending short videos or Live Photos as GIF attachments. Today the team issued a small update to WhatsApp’s iPhone application in the App Store, bumping version number to 2.16.16 and adding another handy feature: a built-in option that lets you find animated GIFs to attach to your messages from within the app. Begin by tapping a conversation in the list or create a new chat, then tap the plus button next to the text field at the bottom and select Photos & Videos Library. Hit a new GIF search button on the bottom left to get to the dedicated GIF search screen. From there, search for the perfect animated GIF by typing one or more keywords in the search field. Tap the Starred tab at the bottom to browse only GIF animations you favorited. When you find the animated GIF you like, tap it. WhatsApp’s built-in editor pops up letting you optionally trim the animation, type some text on it, crop or annotate it and more. When satisfied with the edits, type your message and hit the blue Send button. Your contact shall see the attached GIF animate inline. WhatsApp for iPhone is available for free on the App Store.